Things are springing up here at Carousel Watergardens Farm but it isn’t seedlings. 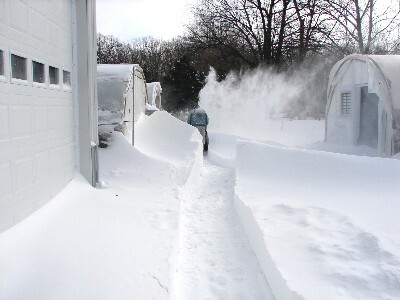 We seem to have snow drifts popping up everywhere around here. Seed trays in the greenhouses are not sprouting due to the extreme cloudy weather and the constant snow accumulations on the greenhouse tops. I believe we’ve spent more time this year brushing off the greenhouses to keep them from collapsing than we have spent planting seedlings. My dilemma has been trying to climb out of the snow drifts that surround me as I pull the snow off the greenhouses and for some apparent reason when it falls it encases me. I then exert tremendous energy trying to free myself from this cold tomb. 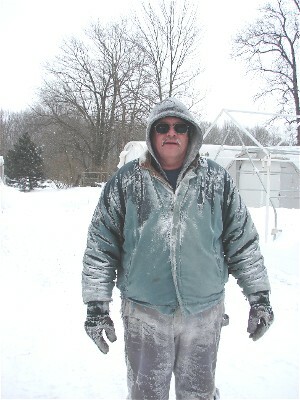 I have discovered I am married to the abdominal snowman, for as Mark is snow blowing the barnyards and drives here, he is covered in snow & ice crystals. His appearance is one of a snow monster rather than a snowman. My hands are frozen in the shape of a snow shovel handle that is how much time I have spent shoveling. Our typical week looks like this. Friday night go to bed, Saturday we wake up, look out the window, wow…snow. 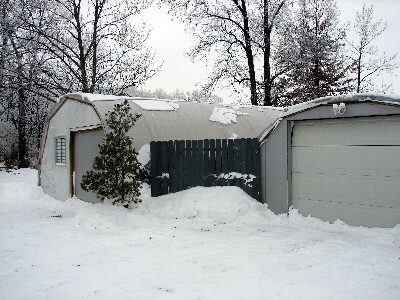 Go out shovel and snow blow the barnyard, greenhouses, and drives. Winds pick up by noon, back out at 5pm start day over again, go in take shower, and go to bed. Saturday wake up early; look out window, ummm more snow, and more winds. 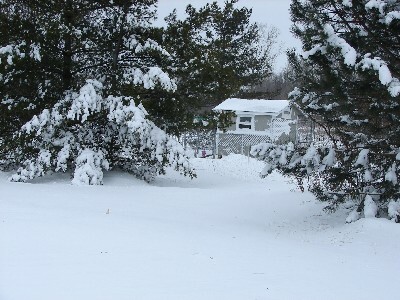 Get dressed, go out shovel and snow blow, do chores, come in early evening, warm up, shower, to tired to eat, go to bed. Listen to winds whistle until fall asleep. 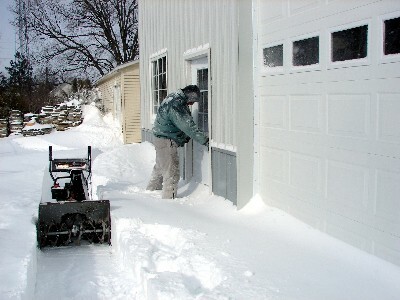 Sunday wake up early, look out, larger drifts, get dressed, start shoveling and snow blowing, do chores. Back to shoveling and snow blowing, finish late, go in, take shower, I’m not cooking; go to bed wondering what it will look like tomorrow. For two and a half months we have marked “ditto” on the calendar rather than which plant has reared its little head in germination. 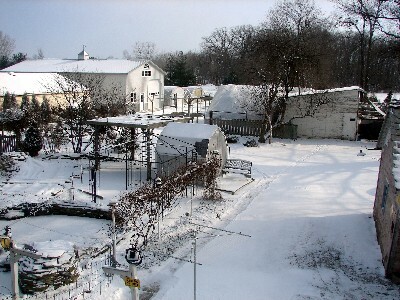 Sunday Feb. 14th, wake up, look out…oh my gosh sunshine maybe we’ll get some planting done in the greenhouse before the new round of winter storm warnings start. Friday February 26th more snow, another storm, it appears the weatherman is trying very hard to get that record snowfall for February. 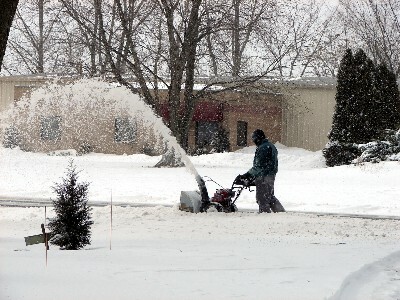 Its back to shoveling, and blowing again. 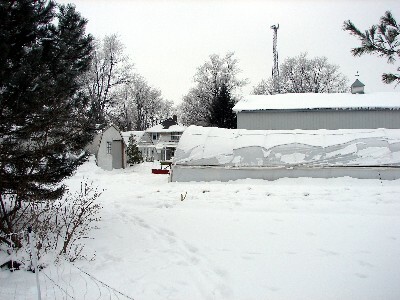 I am trying to figure if I pot up snow instead of plants, how should I market it, who would my customer base be, how would I advertise? How about a winter farmers market I have an idea!